Dave Taylor is a multi-talented guy who is a mechanic by trade and a guitar player by choice. 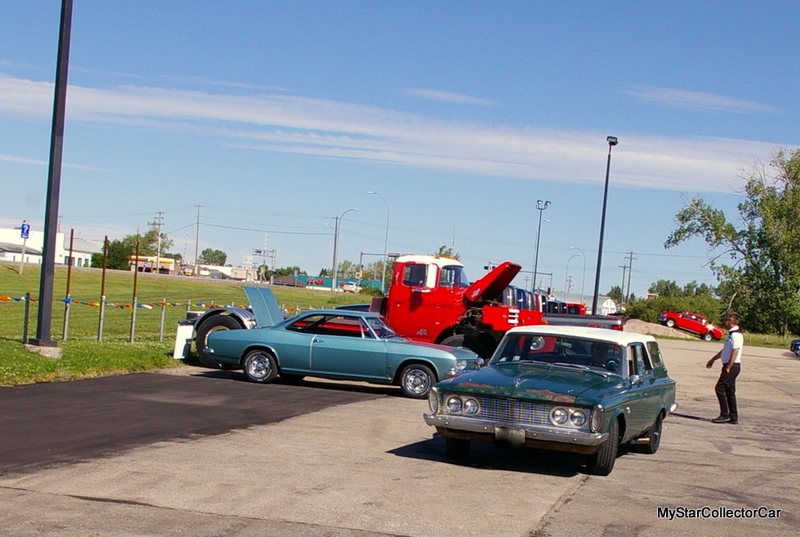 He is also a wheeler-dealer who was able to use the barter system to its best advantage when he parlayed a 1948 Dodge truck (that was given to him) into a trade for a 1963 Plymouth Savoy station wagon. 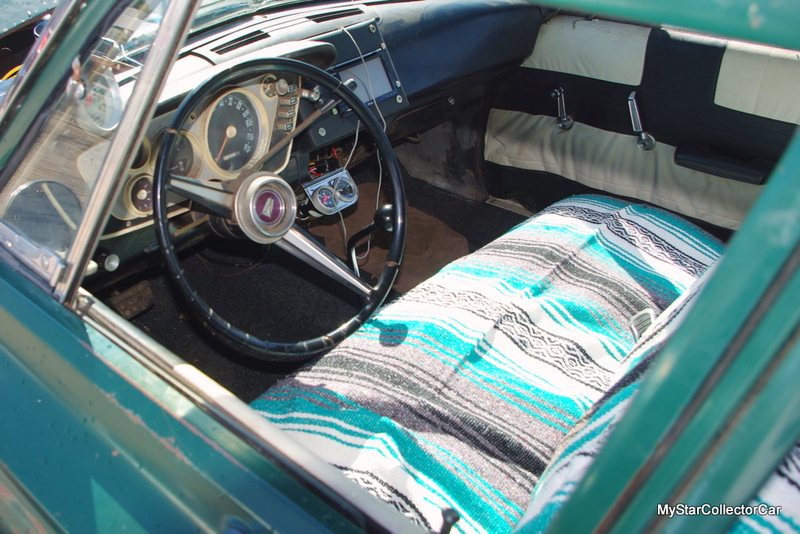 The 1963 Plymouth wagon was left in a collection of other field cars where they duked it out every day with the great outdoors and a bunch of harsh conditions. 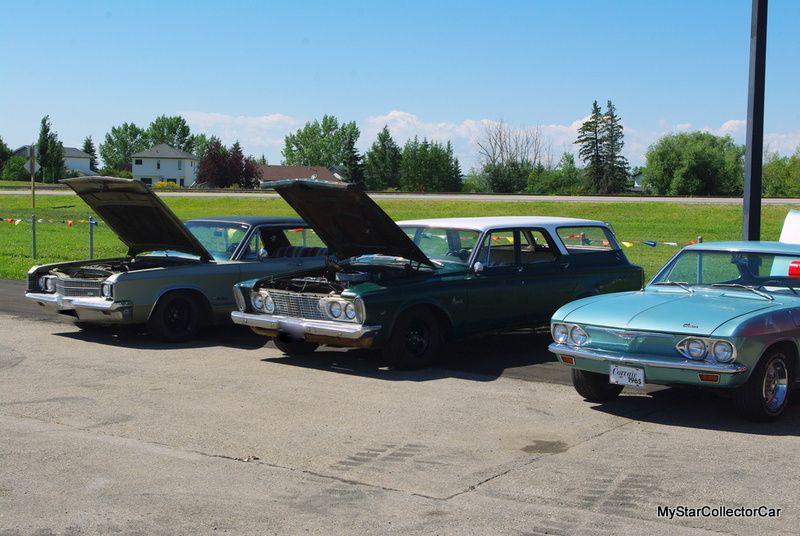 Dave is a traditional more-power kind of guy who has brought out the best in many race engines over the years, but now he wanted a vintage Mopar station wagon and the ’63 Plymouth was the solution to his search two years ago. His son Steven was also involved in the Plymouth’s resurrection because he wanted to use the car for his high school graduation festivities. Unfortunately, the process was a little more complicated so the father and son team did not quite meet the tight deadline to bring the wagon back on the road in time for Steven’s graduation. However, Dave was able to use his considerable talents and generous supply of recyclable parts from donor vehicles to cobble together a resto mod combination that built in both performance and safety. 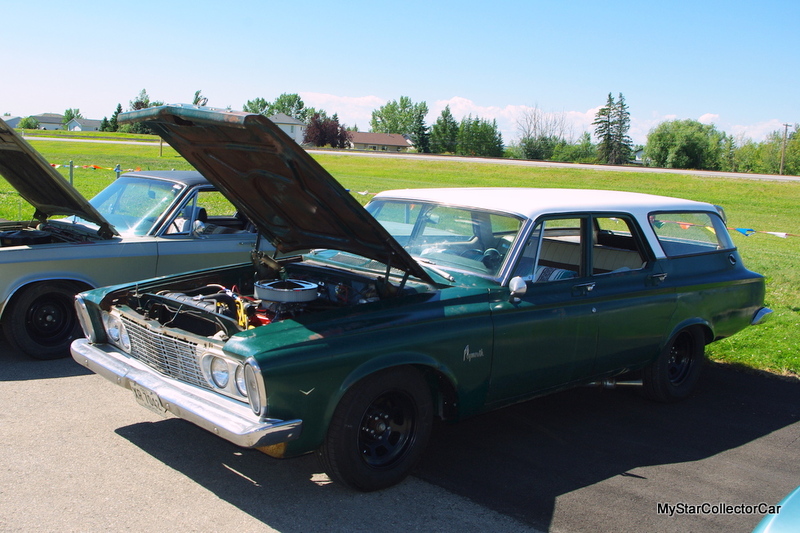 The engine is a vintage 413 Mopar big block that was owned and re-purposed by Dave after he put in new rings, tweaked the crankshaft, and added a hotter cam into the mix. 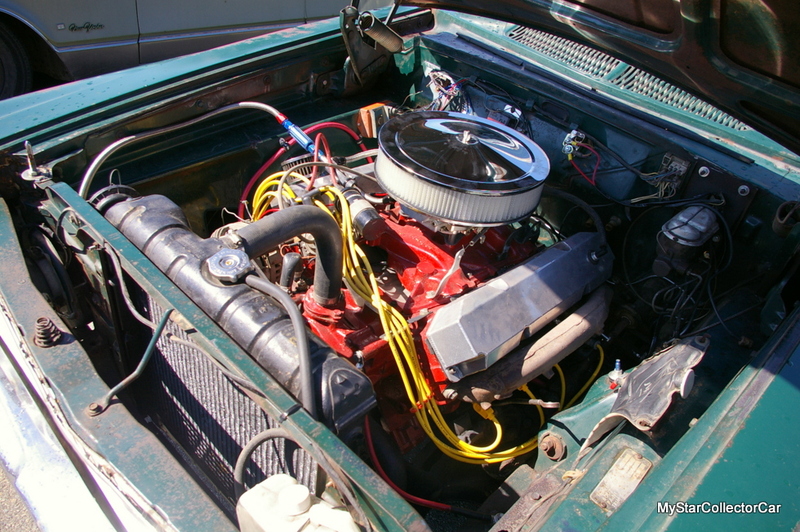 The 413 is bolted up to a 3-speed manual transmission that was in a 1971 Dodge Sweptline truck. 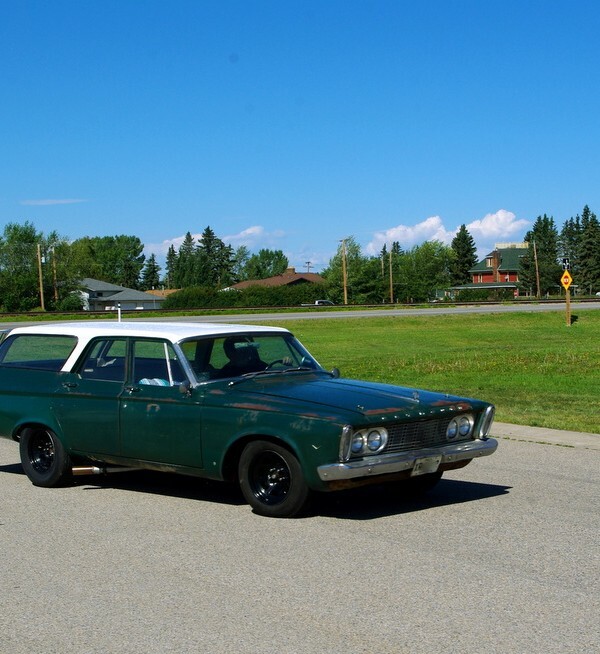 The Plymouth left the factory as a humble three-on-the-tree wagon so the floor shift was not a huge reach for Dave, although he had some issues with the clutch assembly during the makeover. 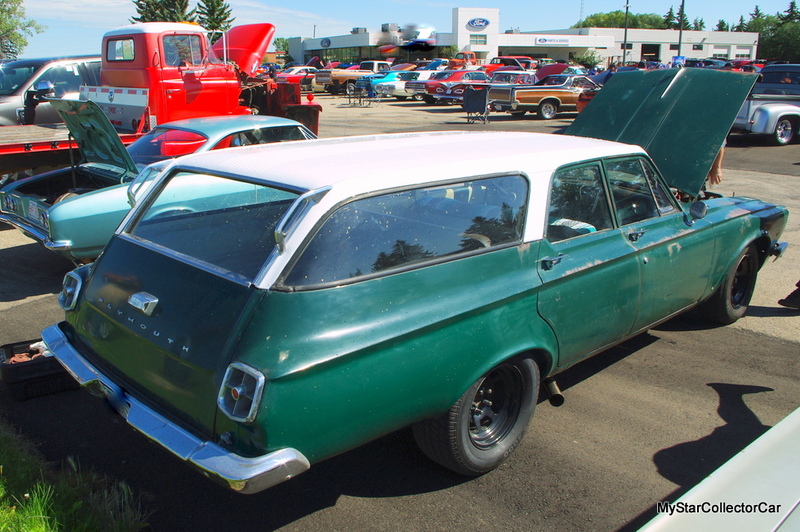 The rear end of the Plymouth was replaced by an assembly from a 1967 B-body because Dave wanted to eliminate the issues presented by a tapered rear axle found on the original rear end. Most car guys are aware that tapered rear axles can strike fear in their hearts because the old school axles are not designed for easy rear brake drum removal, among other obstacles. 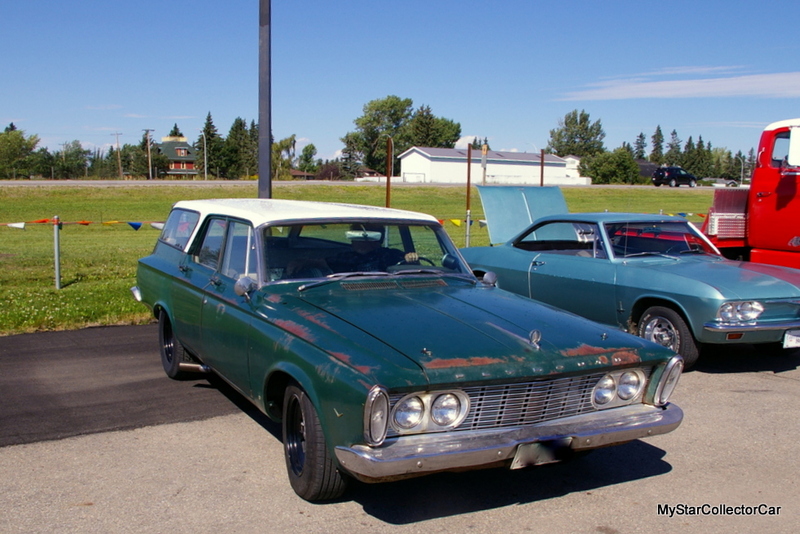 Dave also replaced the Plymouth’s original four wheel drum brake system with front disc/rear drum brakes donated by a Chrysler Fifth Avenue. He wanted to upgrade the stopping power because his transplanted 413 big block can produce plenty of acceleration power upon request. 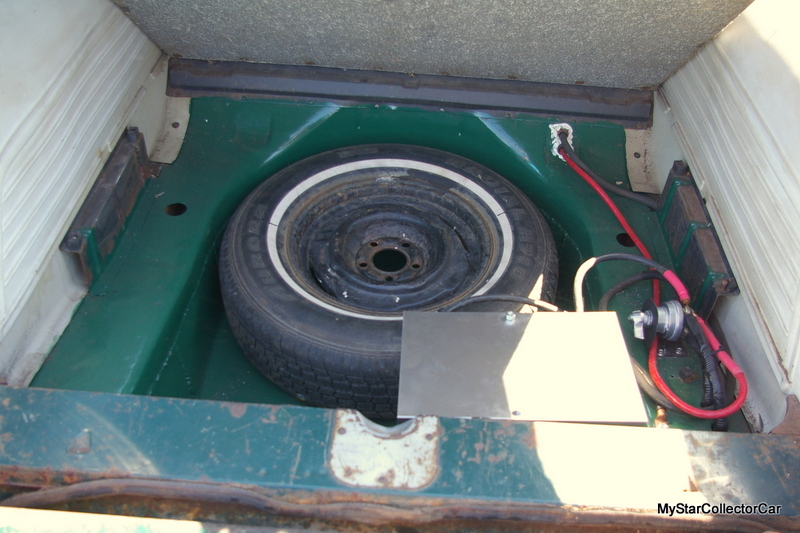 Dave also moved the battery to the rear of the wagon where it now resides under the factory cover right near the spare tire. He also modified an aftermarket gas cap so it would fit on the gas filler tube found on the driver’s side rear quarter of the wagon. 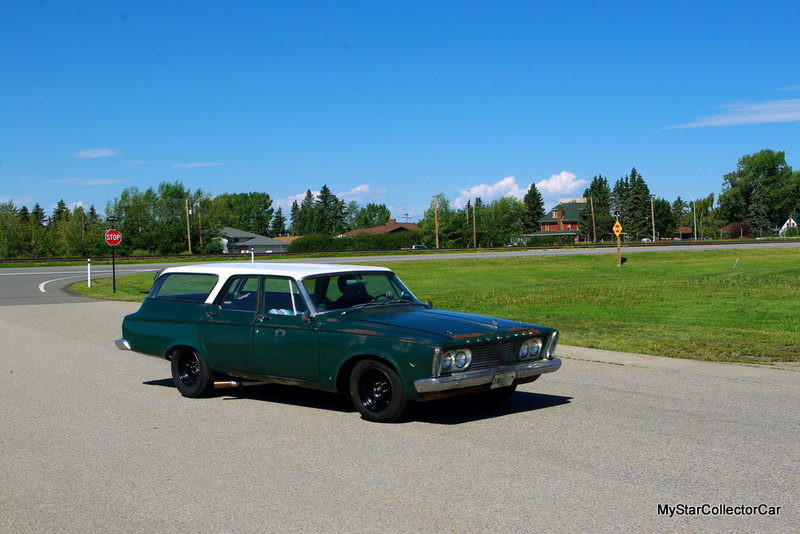 The wheels and tires on the ’63 Plymouth station wagon are also aftermarket upgrades that give the car a tougher-looking stance and better handling on the road. Dave and his family embarked on a lengthy road trip in the station wagon during the summer of 2018. 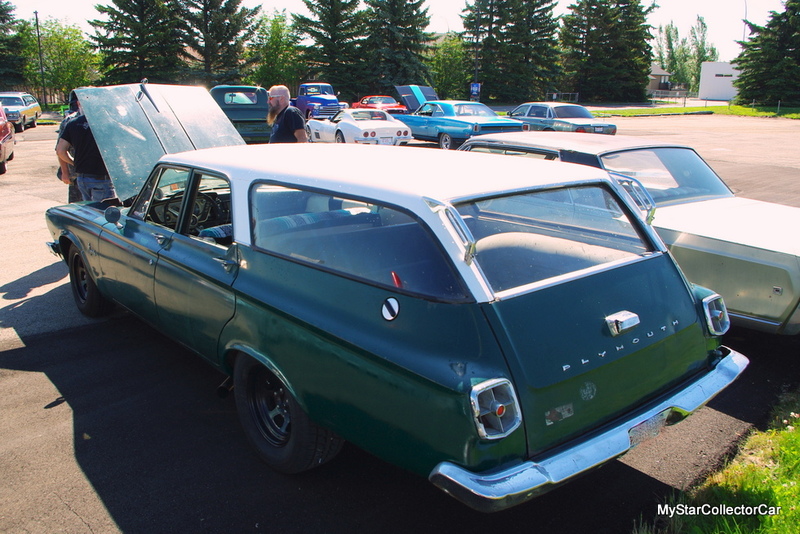 Dave wanted to use the wagon to haul camping equipment in the finest tradition of the Plymouth’s original purpose as a family-hauler during its Sixties heydays on the road with its original owners. 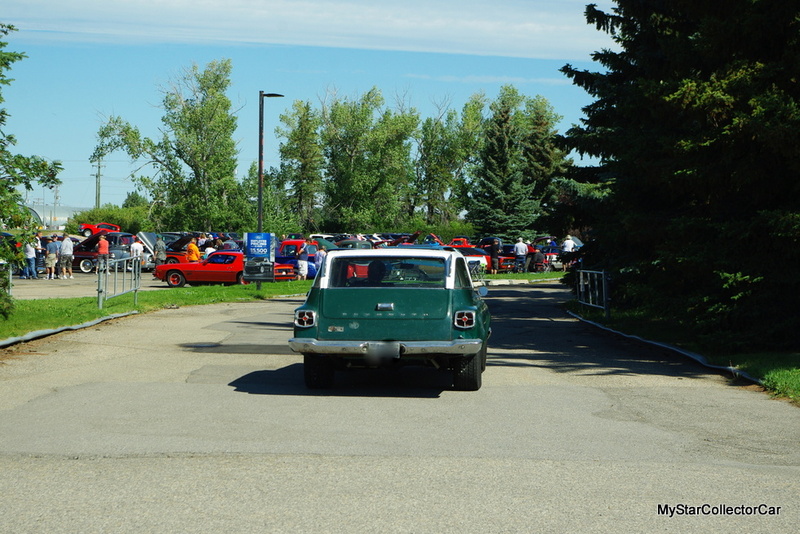 Dave’s destination was a vintage drag car meet and it was a suitable choice for a retro station wagon with an old school horsepower upgrade under its hood.